Swiss voters just empowered shareholders to restrict and restrain corporate abuses. The US should follow their lead, especially when it comes to corporate influence on campaigns. Actually, the 68 percent support for Sunday’s Swiss referendum that gives shareholders broad new powers to curb excessive pay for bankers and corporate executives might well be shy of the mark that the US could hit. Polls of American voters have regularly shown that over 70 percent favor restrictions on executive compensation, with even self-identified conservatives registering majority support for clamping down on CEOs. And rightly so. It is not jealousy that motivates concerns about CEO pay. As the AFL-CIO’s Executive Paywatch campaign notes, when CEO pay rises so too does income inequality. In 2010, as the United States emerged from the depths of the Bush recession, a study by University of California economist Emmanuel Saez found that the top 1 percent of Americans captured 93 percent of the growth in income. Worse yet, CEOs use their money to game the system so that they get richer while the great mass of Americans are squeezed. More than 120 CEOs are currently supporting billionaire Pete Peterson’s “Fix the Debt” campaign, which is chaired by Erskine Bowles and Alan Simpson. A deficit-reduction plan proposed by Bowles and Simpson last month would slash cost-of-living increases for Social Security recipients while at the same time reducing the top marginal tax rate for corporations and the wealthy. In Switzerland, anger at “golden handshake” and “golden parachute” deals for executives who ran corporations poorly and seemed to be more concerned for their own good than for the long-term economic prosperity of their country, led by small businessman and parliamentarian Thomas Minder to mount a populist campaign to increase the authority of shareholders to regulate errant CEOs. As in the United States, that’s the sort of proposal that gets a lot of talk but that was not likely to go far in the corridors of political power in Switzerland. 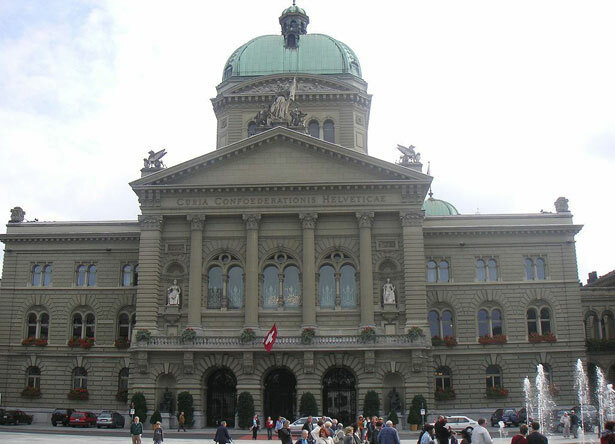 Luckily, Switzerland has a long history of allowing citizens to initiate and implement legislative changes. Under Swiss law, any issue can be put to a national referendum if supporters of a vote attain 100,000 petition signatures seeking the test. In recent years, the Swiss have voted on people’s initiatives to guarantee “six weeks of vacation for everyone,” to put an “end to the limitless construction of second homes” that crowd Alpine villages, to expand the ability of tax-supported building society savings to finance energy saving and environmental measures, and to require money gained from maintaining casinos be used for the public interest. The Minder Initiative serves as an important model for US discussions about increasing shareholder rights. And that discussion can and should go well beyond the question of CEO pay. In 2010, the US Supreme Court’s Citizens United ruling removed barriers to unlimited corporate spending on US political campaigns. At the same time, highly compensated CEOs are among the biggest direct donors not just to individual campaigns but to so-called “Super PACs” that flood the airwaves with negative advertising. In 2011, Congressman Michael Capuano (D-MA) introduced an American Shareholder Protection Act to empower shareholders to vote on whether to allow CEOs and corporate boards to spend company money on political campaigns. “Shareholders—not the CEO and not the board of directors—are the real owners of any publicly traded corporation, and the decision should be theirs,” argued Public Citizen in campaigning for the measure, which attracted forty-nine co-sponsors. Public Citizen has also led the campaign to get the Obama administration to crackdown on federal contractors that use corporate money—from accounts padded with taxpayer dollars—to fund campaigns. Which raises an interesting question: Could the president issue an executive order giving shareholders of companies that contract with the government the authority to decide whether those firms should play politics with corporate money? The Swiss vote for the Minder Initiative is drawing a lot of attention in the United States. That’s good. Hopefully, it will lead to greater pressure for reducing excessive CEO pay.But it is essential to recognize that simply regulating CEOs is not enough. And, make no mistake, if the United States had a national referendum model like Switzerland, we would not have to wait for Congress to act. The voters would pass a Shareholder Protection Act. And probably by a wider margin than Switzerland’s 68 percent. The Obama administration has been a revolving door for corporate leaders. Read Josh Eidelson and Lee Fang’s analysis of Obama’s nominee to head the Office of Management and Budget—the president of the Walmart Foundation.